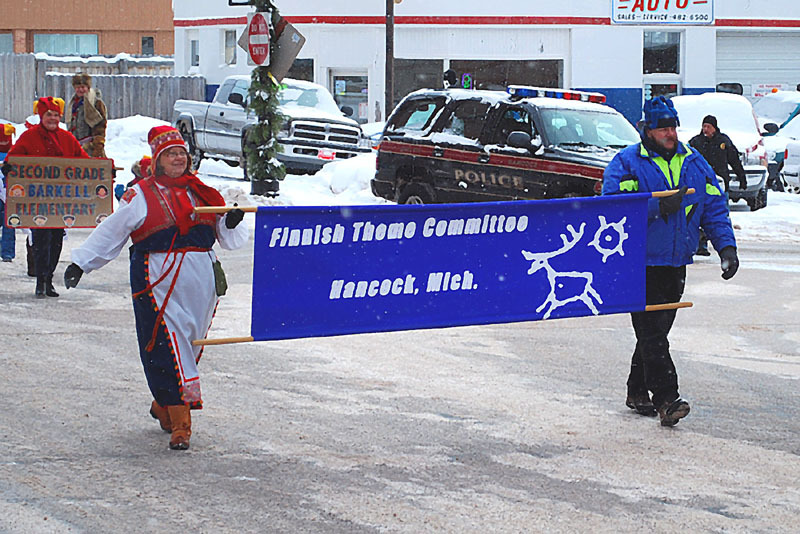 The 2010 Heikinpaiva Celebration, now in it’s 11th year, was held the last two weeks of January, and is sponsored by the Hancock Finnish Theme Committee. 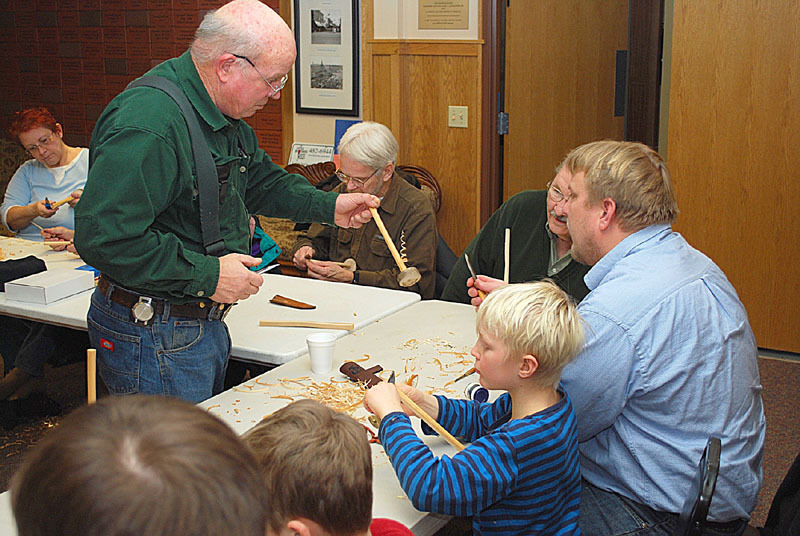 Pete Olsen (standing) gives instruction to a member of a beginning class in wood carving, at the Little Brothers, Friends of the Elderly Building. 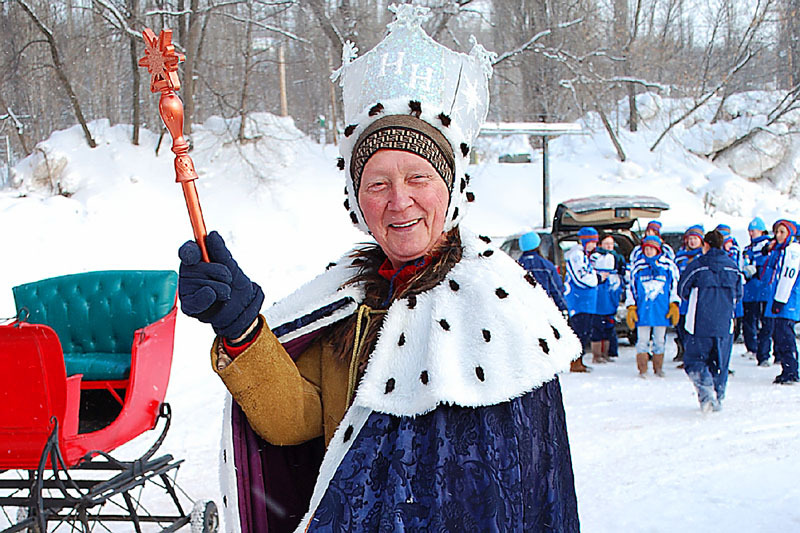 This year’s Hankooki Heikki (Parade Marshall) is Melvin Kangas, a Finlandia University Professor. 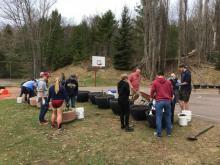 The Hancock High School R.O.T.C. 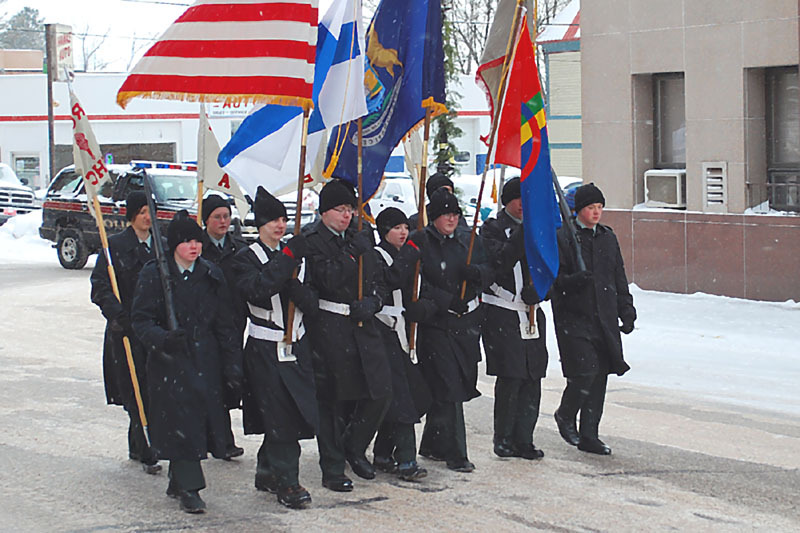 Color Guard. 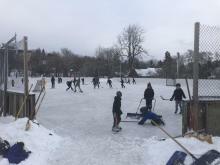 This is what the Celebration is all about. Our sponsor. 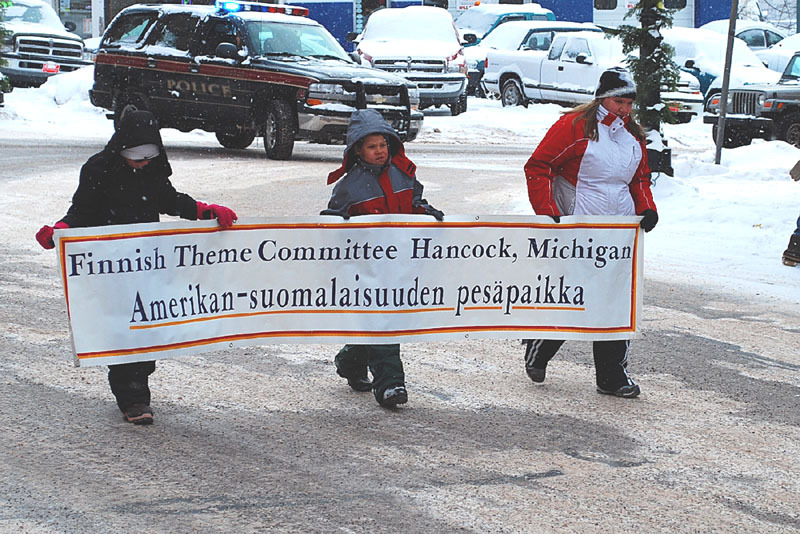 (Hancock’s Finnish Sister City is Porvoo, Finland). 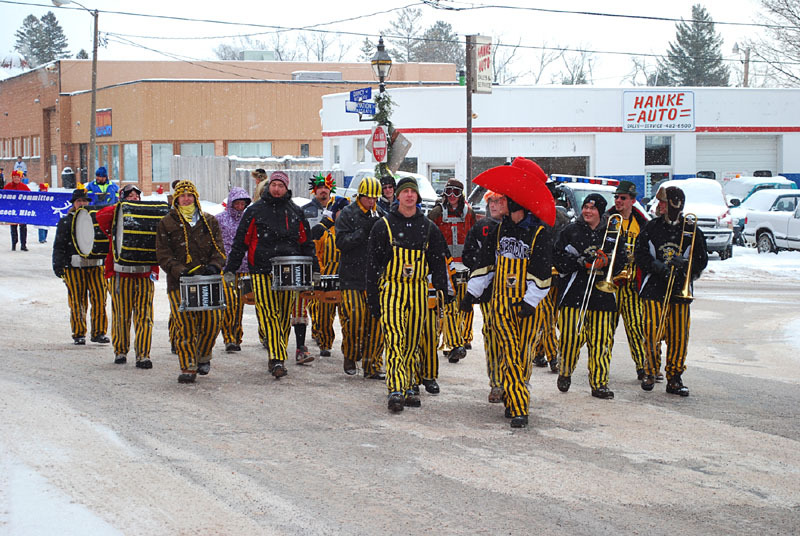 The Michign Tech University Pep Band. 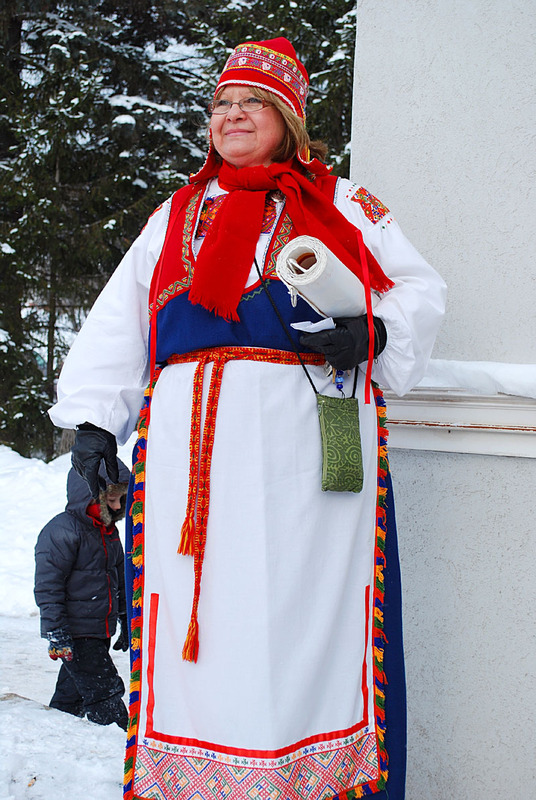 Colorful costumes and dress are a big part of the Heikinpaiva. Our Hankooki Heikki gets to ride in proper fashion. 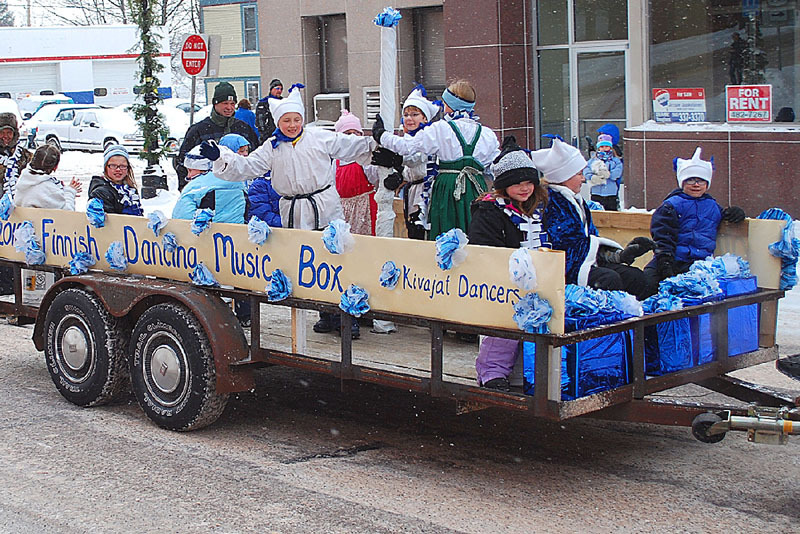 The Kivajat Childrens Dance Group. 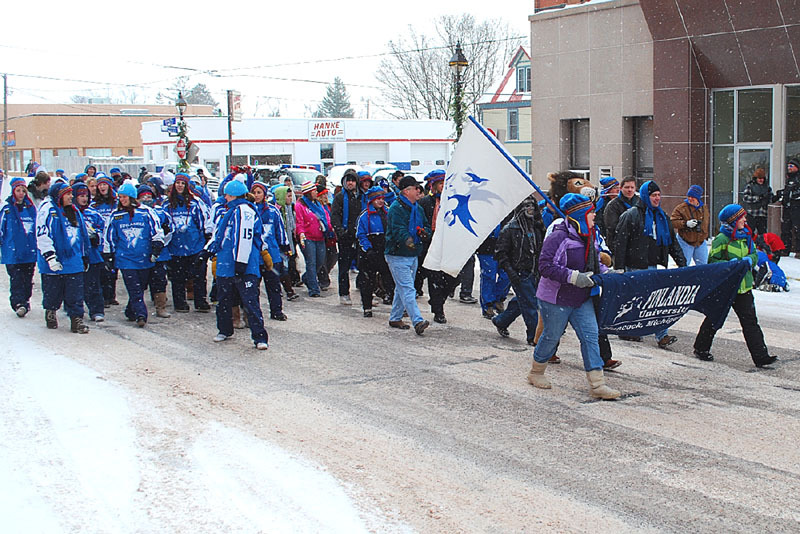 A contingent of Finlandia University students. 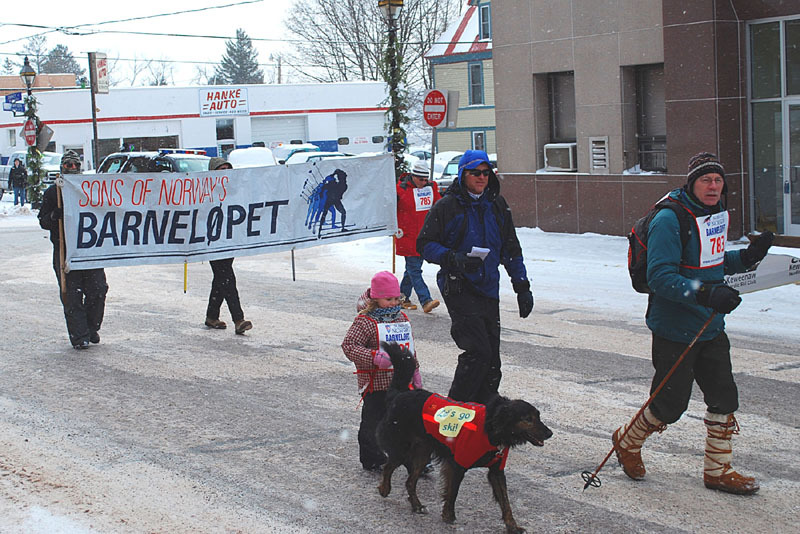 The Sons of Norway Barnelopet Races will be held Sun., Feb.7, at the Hancock Maasto Hiihto Ski Trails. 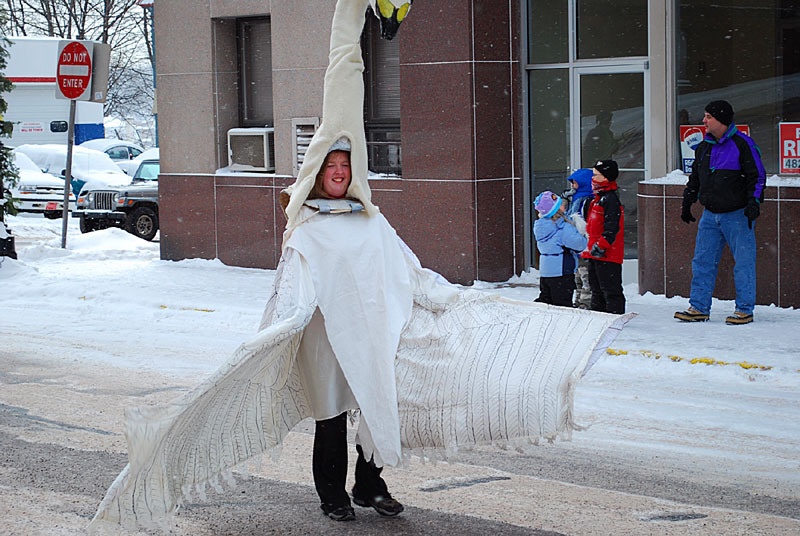 Perhaps this lady is a bit reluctant to be in the wife carrying contest later. 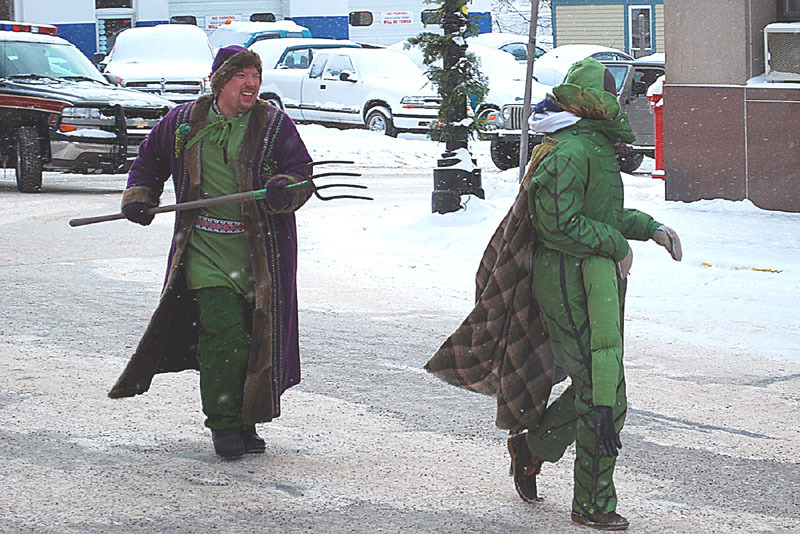 One of the many colorful costumes. 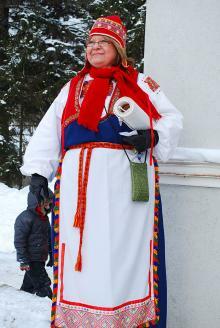 This lady was a greeter at the Finlandia Finnish-American Center Tori. 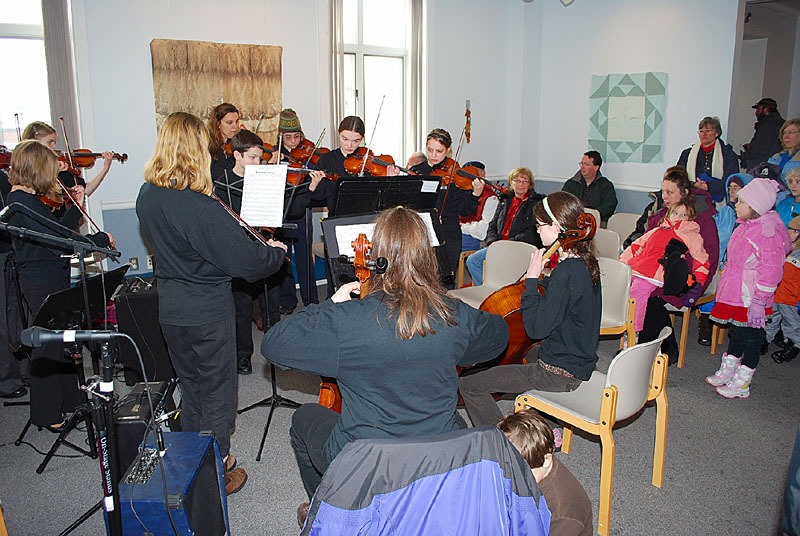 The Copper Country Suzuki Association provides musical entertainment at the Tori. 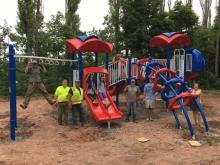 (See Web link at page bottom). 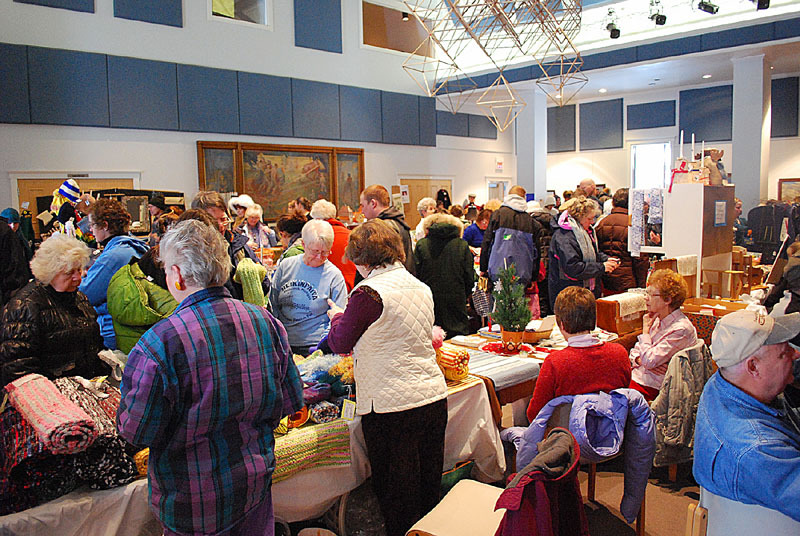 Some of the many vendors and display groups at the Tori, at the Finlandia Finnish-American Center. 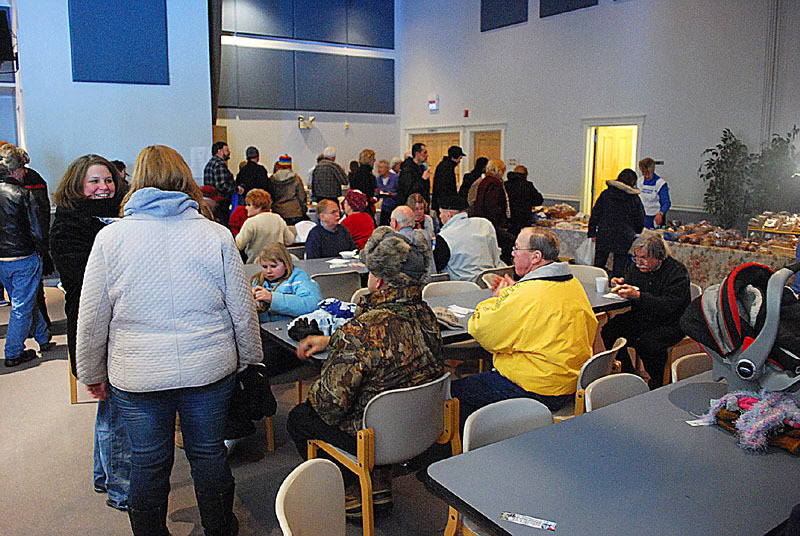 Lunch and refreshments were a highlight following the Parade. 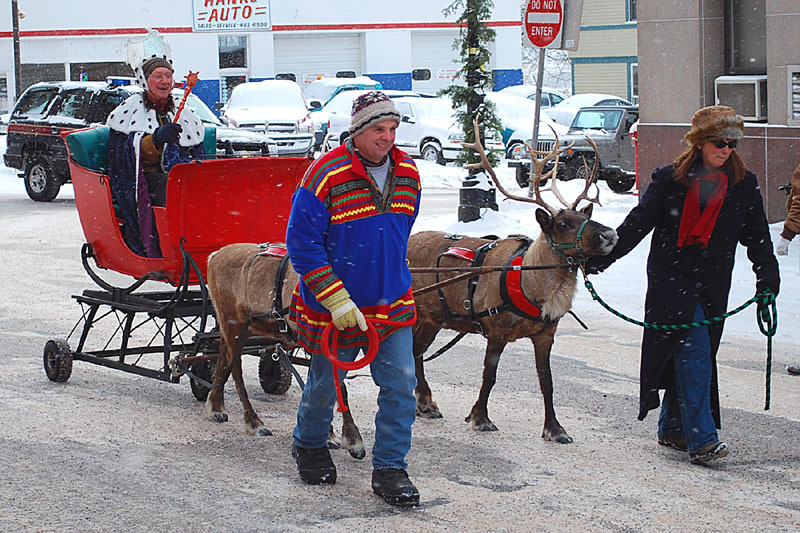 The reindeer are always a popular attraction. 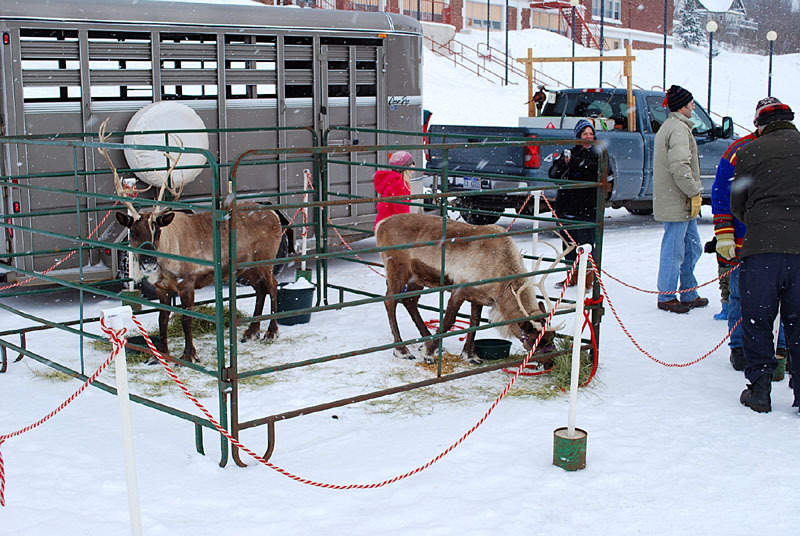 This youngster gets a speedy sleigh ride on the Vipukelkka (Whipsled). 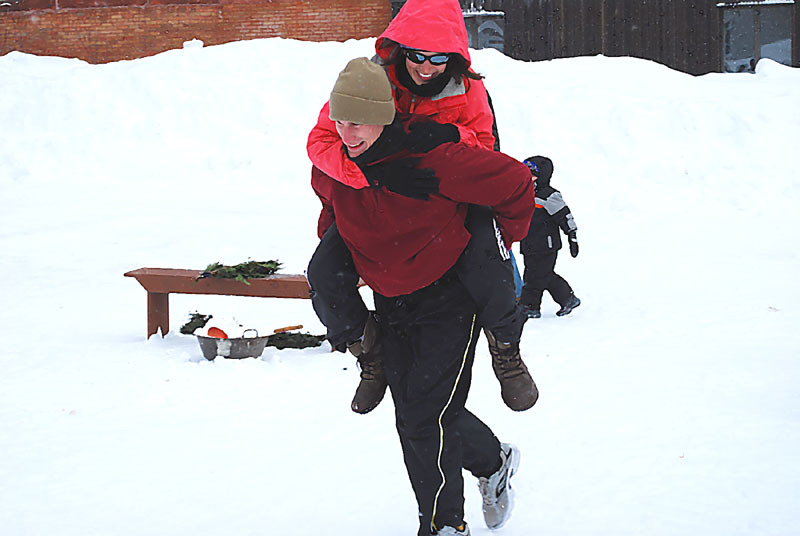 One of the couples competing in the wife carry event. 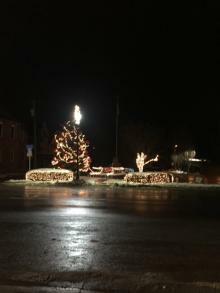 This couple tries a different technique. 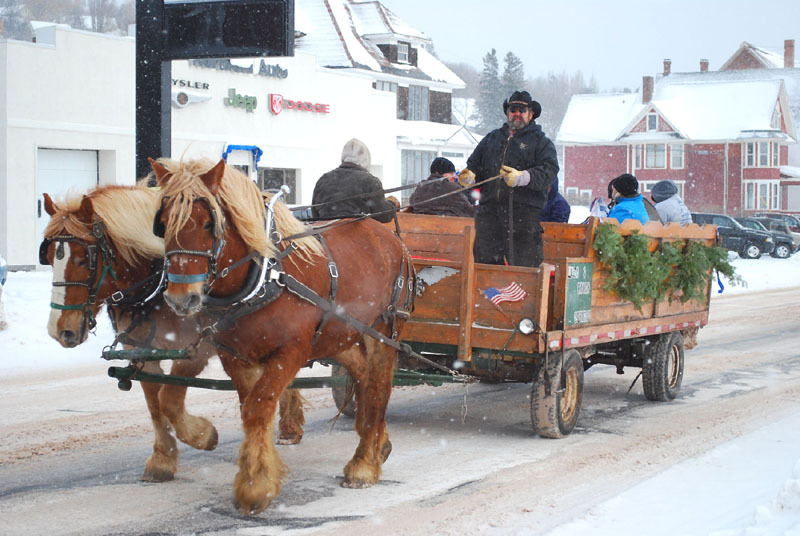 Horse drawn sleigh rides are available throughout the day. 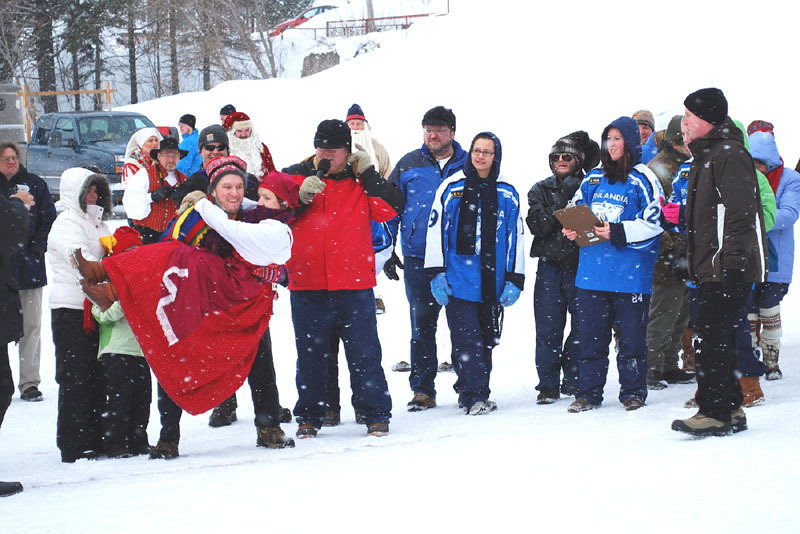 One of the now most popular events, the annual Polar Dive, in the Keweenaw Waterway, held just off shore of the Ramada Inn. 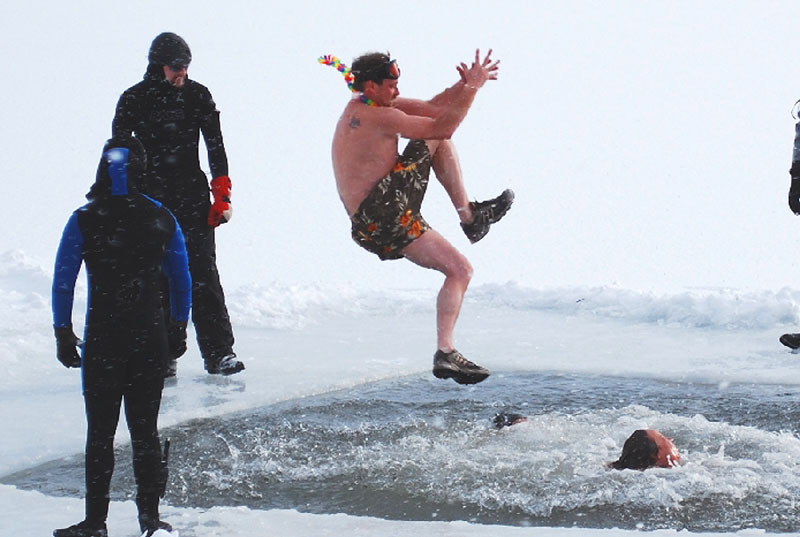 Well over 100 persons take the opportunity for prizes, or just for the thrill of it, to immerse in the ice cold water, with chill temperatures this year hovering around the zero mark. 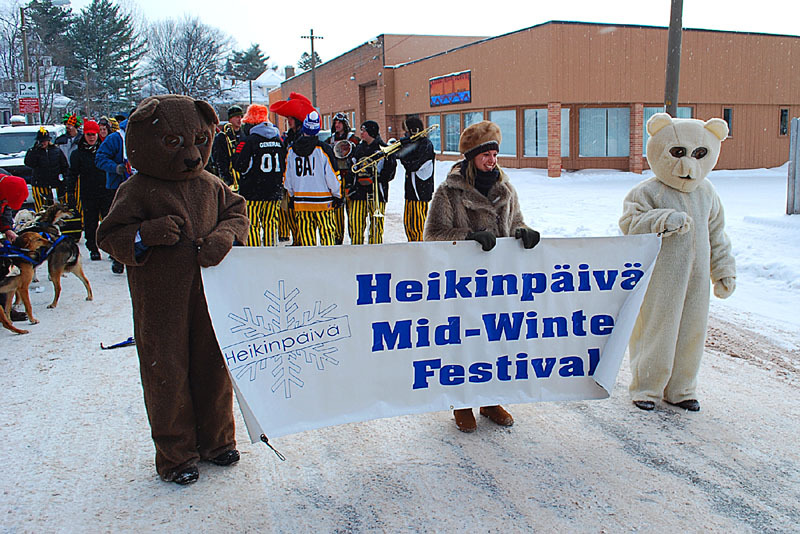 Join us for next year’s Heikinpaiva. 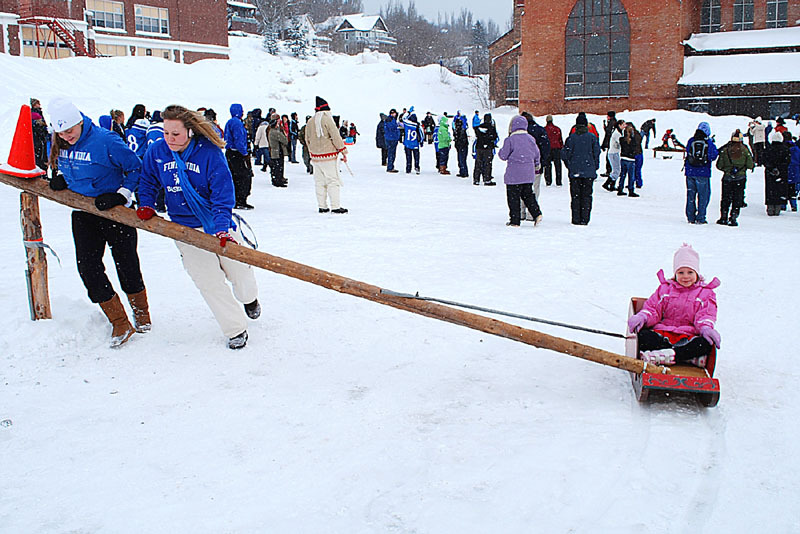 MTU Winter Carnival is the second week of February.